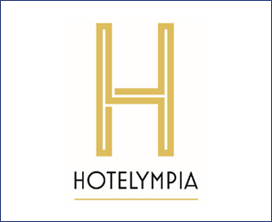 Hotelympia is the UK's largest foodservice and hospitality event and the most important show for any professional wanting to gain access to the latest products, trends and thinking from across the hospitality sector. It is the destination to find real innovation and the people behind that innovation. Hotelympia is the place to improve your business performance and customer offering - for your hotel, restaurant, pub, café or catering company - through guaranteed access to the latest products from food and drink, catering equipment, interiors, technology, careers, and waste management providers. The heart of any restaurant is its kitchen, where the chef’s creations come to life. Equipment now comes in all shapes and sizes, perfect for large mass catering kitchens or the newer trend of micro size kitchens, and new technology in equipment is helping to make kitchens run faster and more efficiently. Buyers from restaurant and hotel groups, pubs, bars, contract caterers and cafes are looking for the right equipment to ensure their chefs deliver the best quality food. Over 4 days, The Professional Kitchen Show will showcase the very latest catering equipment, attracting key senior buyers from across the industry including; Kitchen Designers, Operations Managers, Executive chefs, Chef Patron, Owners, Managing Directors, Food and Beverage Managers, General Managers, Wholesalers and Distributors. Food and Drink is at the centre of every great hospitality experience. Customers return to restaurants, bars, hotels and pubs for the great food and drink available, so it’s important for outlets to source the highest quality products that meet their customers’ demands. Over 4 days, The Foodservice Show will showcase the best products and services from the food and drink industry, attracting key buyers from across the sector including; Head Chefs, Heads of Catering, Food Operation Managers, Food and Beverage Managers and Buyers, Managing Directors and Owners. From hard-to-find speciality ingredients and craft drinks, to leading food brands and franchises, The Foodservice Show has more food & drink exhibiting companies than any other UK hospitality event. Technology is revolutionising the hospitality sector. Buyers from hotel and restaurant groups, pubs, bars, leisure facilities, contract caterers, equipment suppliers and interior designers are looking for the right solutions and latest innovations to improve all aspects of their business from back-room operations to enhancing the customer experience. Over 4 days, The Hospitality Tech Show will showcase the very latest technology solutions attracting key senior IT decision makers from across the industry including; Chief Technology Officers, Chief Finance Officers, Chief Operating Officers and IT Managers. The Interiors & Tableware show at Hotelympia 2018 caters for every front-of-house need. Buyers from restaurant groups, bars, cafes, spas, holiday parks and workplace outlets including healthcare, schools and offices are looking for inspiration and new ideas for their next refurbishment.